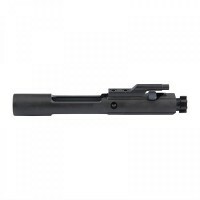 .224 Valkyrie/6.8 SPC II Left-Handed Bolt Carrier AssemblyThe left-handed .224 Valkyrie/6.8 SPC II Bolt Carrier Group is completely assembled and ready for use in any left-handed AR15 or M16 rifle. Made specifically to work with rifles chambered in the all-new .224 Valkyrie and 6.8 SPC II calibers. 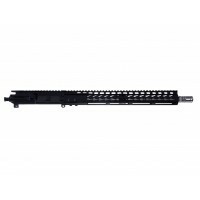 ..
AR-15 6.8 SPCII 16" M4 CMV Upper Assembly Features for Left Hand Gun Enthusiast:Barrel - 16" M4 CMV barrel, 1/2 x 36 Threaded, 1x10 twist, Chrome Moly 4140, Non - Fluted, Phosphate Finish, Carbine Length Gas System, M4 Feed Ramps. Barrel is finished off with A..